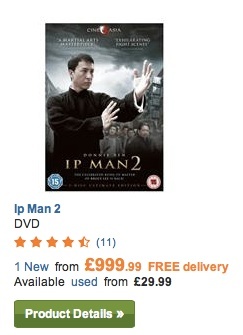 I watched the awesome ‘Ip Man’ last night so today I thought I’d see if I could get hold of the sequel. Hmmm… £999.99? I do love the film but maybe not that much?